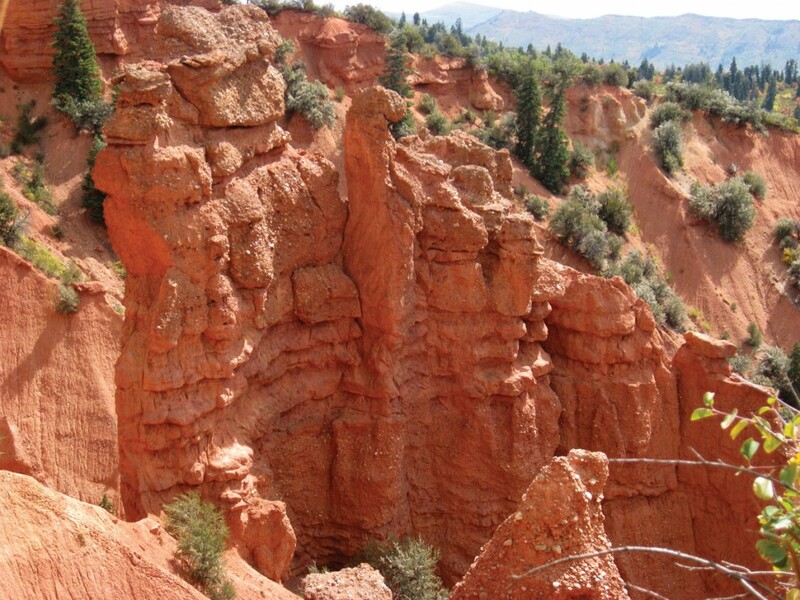 With its red hoodoos, Devils Kitchen looks a bit like a miniature Bryce Canyon. The mineral hematite (iron oxide) creates the red color. The Devil seems to have inspired many geographic place names. According to the U.S. Board on Geographic Names, 34 geographic features bear the name Devils Kitchen, and three of them are found in Utah. The Devils Kitchen that is the subject of this “GeoSights” article is a relatively small (about 700 feet across) south-facing amphitheater exposing redrock hoodoos at the head of Red Creek in the Wasatch Range, about 14 road miles northeast of the town of Nephi in Juab County. About 60 to 70 million years ago the rock at Devils Kitchen was gravel, sand, and mud deposited by streams flowing out of a now-long-gone mountain range. Continuing deposition resulted in deep burial which, coupled with deep time, compressed and cemented the sediment, transforming it into rock. Beginning roughly 17 million years ago, movement of the Wasatch fault slowly uplifted the Wasatch Range, with Devils Kitchen along for the ride. 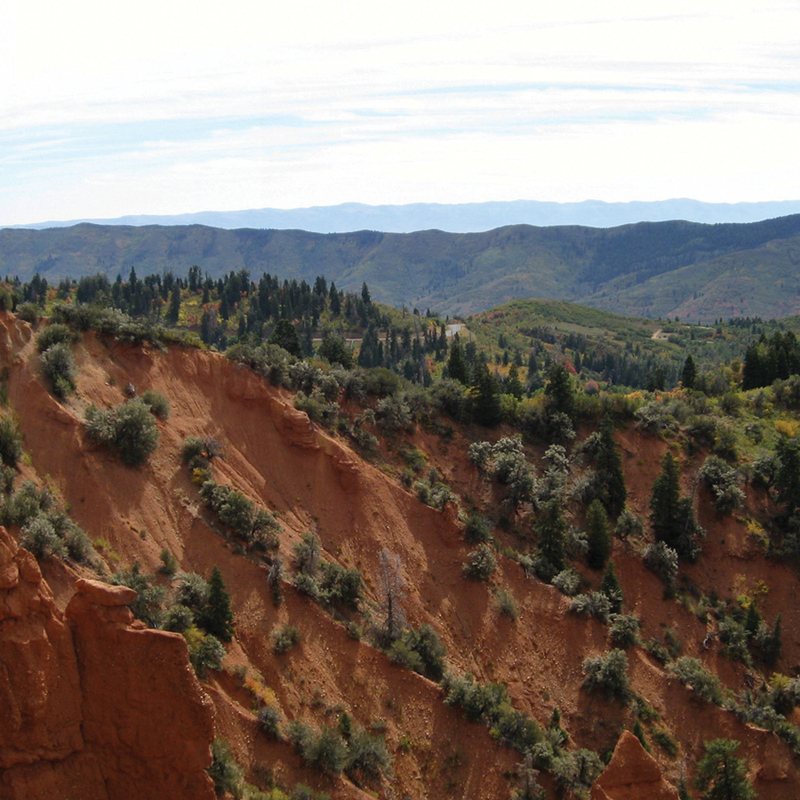 The rise of the Wasatch Range empowered erosion to excavate and expose the rock we see today. Conglomerate, sandstone, and mudstone are the dominant rock types at Devils Kitchen. Overall these rocks are relatively soft and erode easily, but not too easily or nothing more than rounded muddy hills would remain. The conglomerate and sandstone are locally resistant enough to protect the underlying and interbedded mudstone, allowing for near-vertical cliff faces. 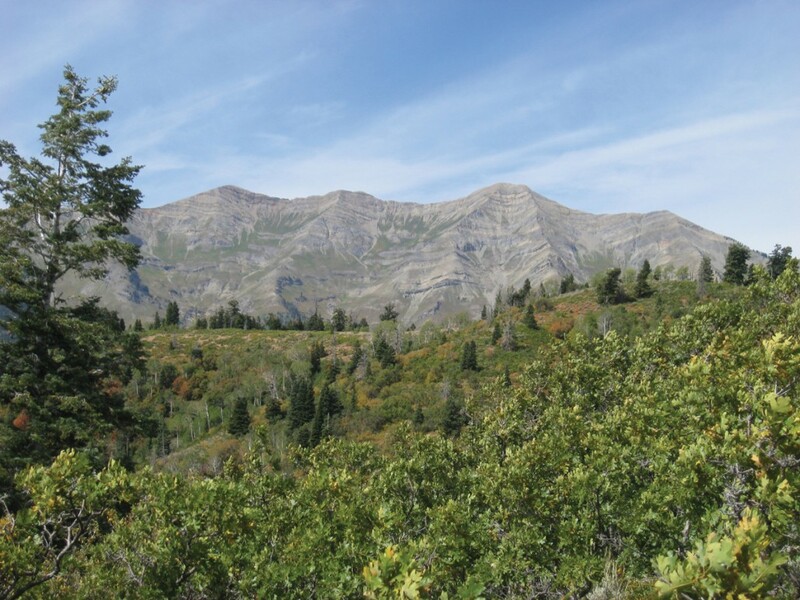 Devils Kitchen is on the Nebo Loop National Scenic Byway in the southern Wasatch Range. The byway is closed to automobiles during the winter months, when it is groomed for snowmobilers, snowshoers, and cross-country skiers. From the south, take I-15 to exit 225 (Utah State Highway 132) in Nephi. Go east (right) on Highway 132 for 4.7 miles, then turn left onto the Nebo Loop National Scenic Byway (Forest Service Road 048/Salt Creek Canyon Road). 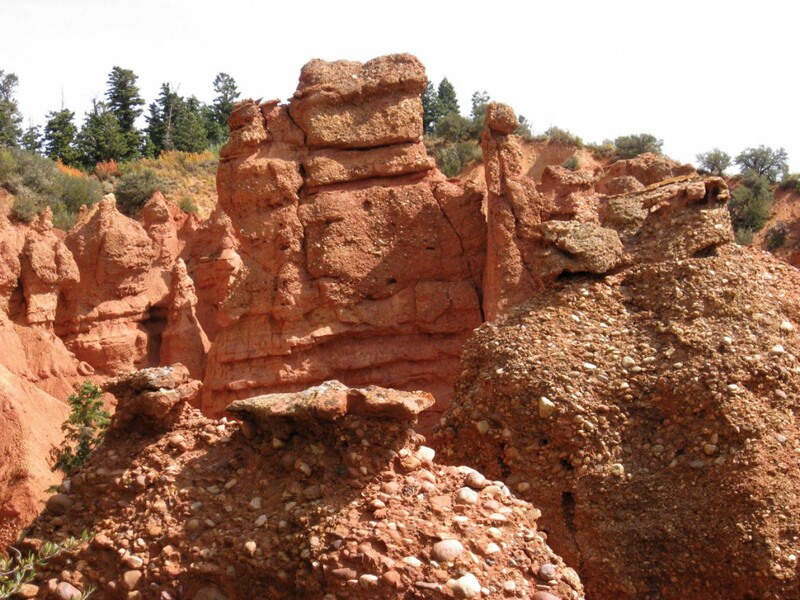 Devils Kitchen is another 8.7 miles north on the byway, which ends in Payson. From the north take I-15 to exit 250 (Main Street/Utah State Highway 115) in Payson. Go south (left) on Main Street for 0.8 mile, then turn left onto 100 North. Stay on 100 North for 0.5 mile, then turn right onto 600 East, which becomes South Payson Canyon Road, which in turn becomes the Nebo Loop National Scenic Byway. Devils Kitchen is approximately 28.5 miles from the intersection of 100 North and 600 East. Past Devils Kitchen, the byway continues to Highway 132 near Nephi. Devils Kitchen is best seen from an overlook platform located about 200 yards south of the roadside parking lot, at the end of a paved and wheelchair-accessible trail. Glad You Asked: What are the Roots of Geobotany?